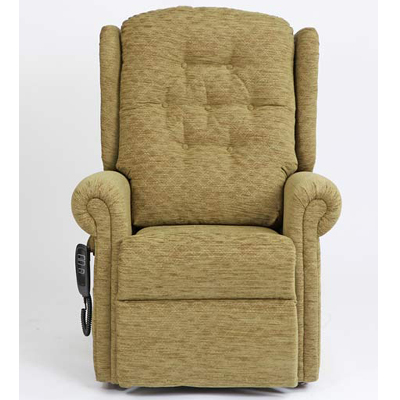 The Aberdare Rise & Recline chair offers excellent lumbar and head support without compromising comfort and style. 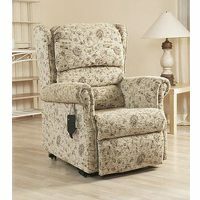 It features classic scroll arms with a full chaise footrest and a deep buttoned back. 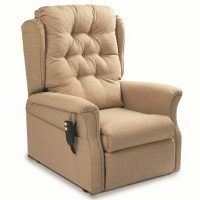 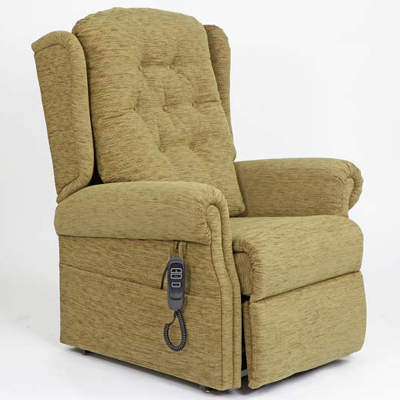 The NextDay electric Rise & Recliner Chairs deliver superb comfort at an affordable price. 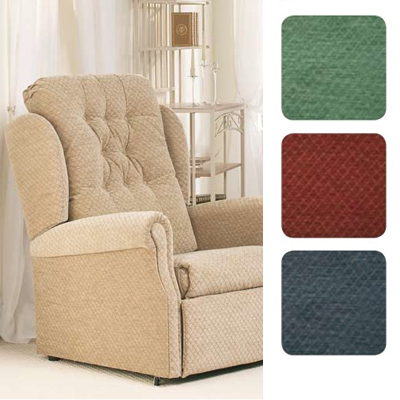 Order a standard NextDay Chair in just 4 easy steps! 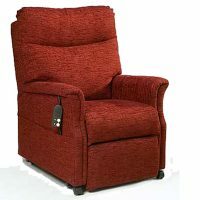 For more information on choosing your NextDay Aberdare or Brecon chair, give us a call on 0117 980 1820, or come down to our South Bristol showroom and try them for yourself! 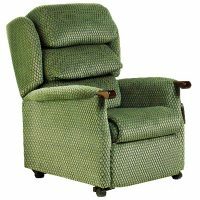 All of our Primacare Rise & Recline Chairs are also highly customisable with a choice of seat dimensions, motor mechanism, weight capacity and a huge choice of fabrics.